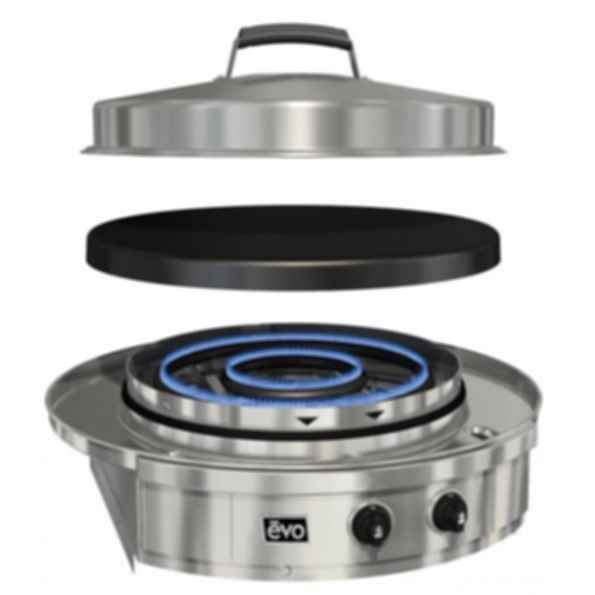 The Evo Cooktop is designed for built-in installation to outdoor kitchen counters and is available in propane or natural gas. 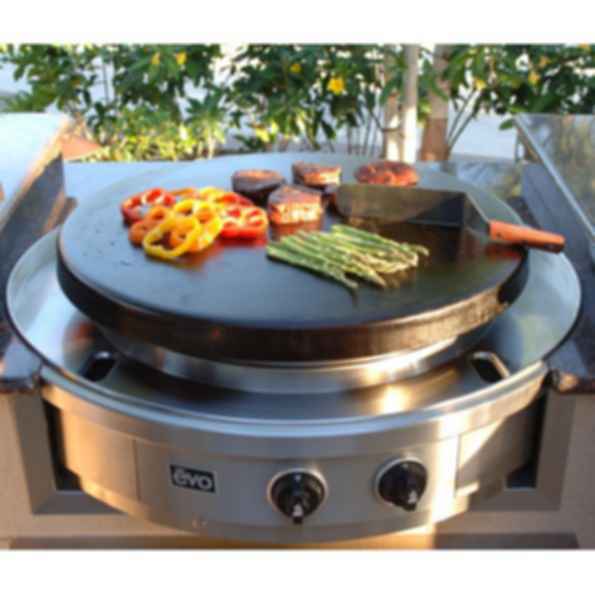 With a 30" diameter cooking surface, the Affinity 30G has manually controlled inner and outer burners with two variable heat zones ranging from 225°F to 700°F. 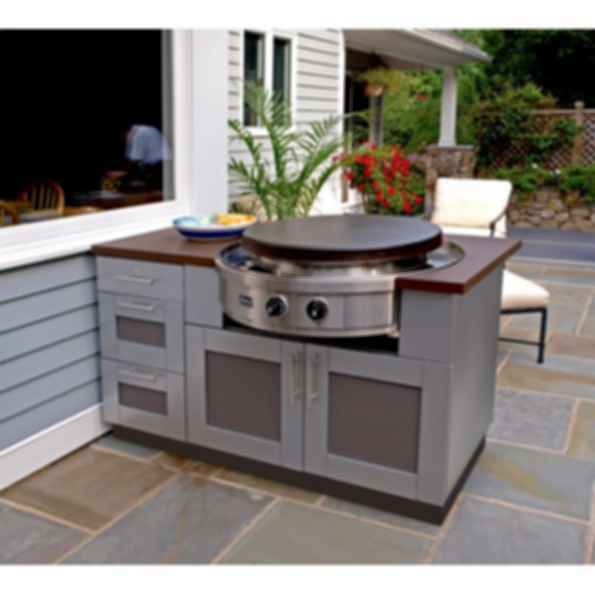 Designed to install seamlessly into an outdoor kitchen counter, the Affinity comes with a stainless steel hood that converts this flattop grill into an oven for baking, roasting, or smoking.